24/7 emergency leak detection serving the greater Orlando, FL region, including residential, commercial, and industrial properties in Winter Park, Altamonte Springs, Kissimmee, Maitland, and the surrounding areas. Orlando Leak Detection is Florida’s premier service for locating slab leaks, plumbing leaks, gas leaks, and more! Leaks of any kind can be destructive and hard to spot. Using the latest cutting-edge technology, we can locate even the smallest leaks, helping you prevent expensive repairs and damage to your home. Save time, money, and hassles today with fast, accurate service from Orlando Leak Detection - we’re available 24/7 to take your call! 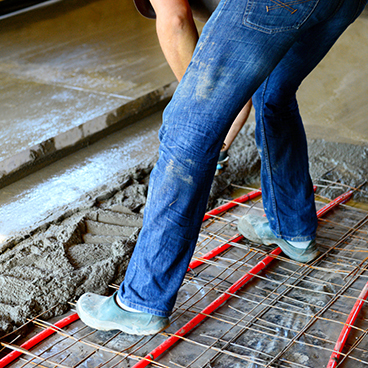 Do you suspect you have a slab leak in your home? Using our state-of-the-art equipment, Orlando Leak Detection can detect leaks without having to break into your slab. Don’t let an inexperienced or ill-equipped home service technician destroy your property searching for a leak. Choose Orlando Leak Detection and we can quickly and accurately locate your leak using entirely non-invasive techniques, without risking unnecessary time, hassles, and costs. Many plumbing leaks go undetected for a long period of time, causing significant damage to your home structure before you are even aware it’s occurring. Even if moisture is visible in your home, it can be difficult to locate the source. If you suspect a plumbing leak in your home, Orlando Leak Detection can quickly identify the source of your problem using our cutting-edge methods and equipment. No matter how large or small your plumbing or water leak, or how hidden or difficult to access, we can find the source without any need for trial and error or excessive damages that are frequently incurred when searching for leaks without the proper technology. Gas leaks can be extremely dangerous to your health and safety. If you have any suspicion that you are experiencing a gas leak, it’s important to contact a leak detection service or utility provider immediately! Although, not all gas leaks are dangerous, and some are small enough that they can go undetected for long periods of time. Natural gas and propane gas are used to power a number of common household appliances, such as stoves, ovens, furnaces, boilers, and hot water heaters. Most gas leaks are found at these appliance’s gas connections, and while not particularly harmful, can raise your utility bills significantly. 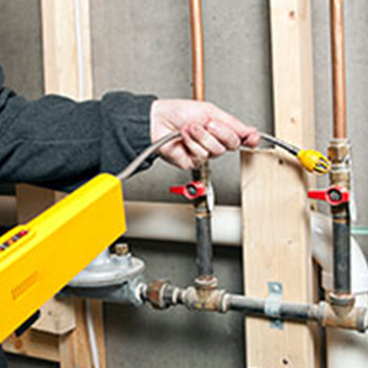 Using a highly sensitive handheld gas detector, the expert technicians at Orlando Leak Detection can find even the smallest gas leaks in your home and prevent them from costing you money. Even small gas leaks can get worse over time, so early detection is key to keeping your home and family safe. 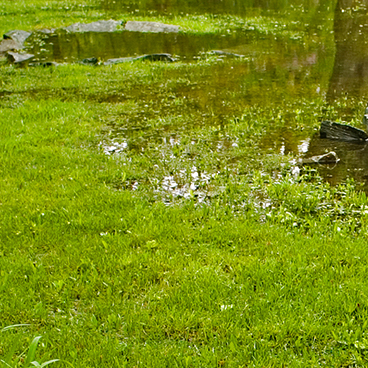 Are pools of water collecting in your yard? An efficiently running irrigation system needs quality sprinklers and regular maintenance. Damaged sprinklers that are not tended to could result in more water consumption and costly, harmful effects like lawn saturation and foundation damage. Irrigation leaks can occur in a number of places, including the valve and pipes. More often than not, a valve not shutting completely will be what causes a leak, but with industry leading equipment and close attention to detail, our team will pinpoint the exact cause and help determine the necessary repairs. Leaky Roof in Sanford, FL? 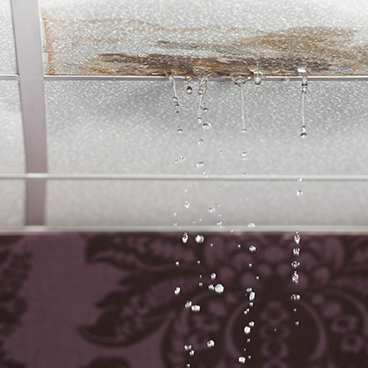 If you notice water dripping through your ceiling, don’t wait to call for an inspection. A roof leak, even if minimal and barely bothering you, can lead to serious damage like molding and roof deterioration. With the job of protecting your home and family, your roof should be repaired right away, but don’t try finding the problem yourself; this could be dangerous. These leaks spread quickly, so call our team of specialists to find the source of your leak, so you can get the repairs completed before the damage becomes worse! A leak in your window could be losing you money. Does water collect around one or more windows in your home when it rains? Since most window edges are sealed with caulk, there is a possibility of drying, peeling, and chipping over time. If water, and even air, is passing through your closed windows, your home’s HVAC system is working harder to circulate hot and cool air, resulting in higher energy bills. The Orlando Leak Detection team uses the newest technology to uncover what’s compromising your home’s efficiency. 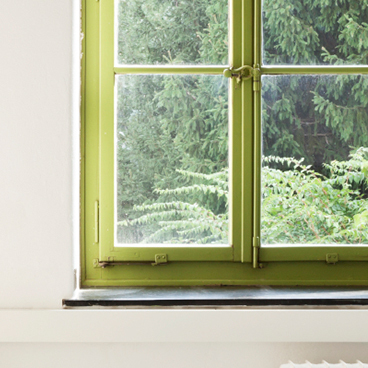 Not paying attention to window leaks can lead to the need for replacement windows and even new walls altogether. 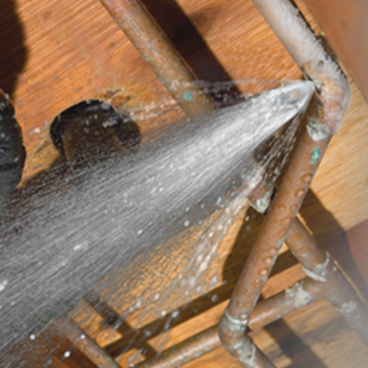 We’ll help you avoid more costly damage and repairs by locating the leaks early on. Without the correct level of Freon in your AC system, your system will become unreliable and can even freeze up, causing serious problems. Not only can Freon leaks effect the the cooling power of your equipment, but exposure to Freon can cause serious health problems. That’s why it’s important to ensure that there are no Freon leaks that are jeopardizing your comfort, wallet, and safety! 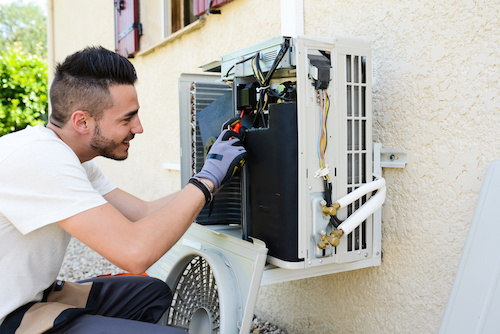 At Orlando Leak Detection, our expert team can provide comprehensive Freon leak inspections on your air conditioning and refrigeration units that will identify even the smallest Freon leaks. We’ll even pinpoint the specific source, so you can get any necessary repairs before there is permanent damage to your equipment. Get the information you need to make an informed decision about your cooling equipment with help from Orlando Leak Detection! 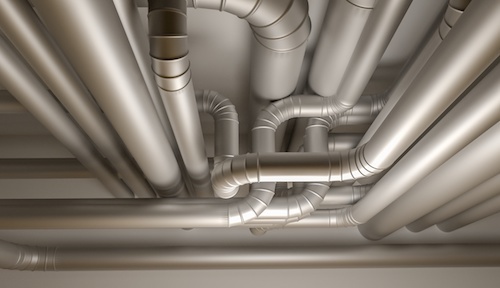 Did you know leaky air ducts are one of the top three sources of wasted energy in the average home? Researchers have found that even in well-maintained duct systems, 10% of your treated air is lost before it has a chance to improve your comfort. At Orlando Leak Detection, we have advanced thermal imaging technology that allows us to quickly identify your AC duct leaks, so you can save on your energy bills and ensure that your home is being evenly cooled. What are you waiting for – after a quick air duct leak inspection from Orlando Leak Detection, you’ll be on your way to saving big time on your energy bills! Orlando Thermal Imaging is mainly used for detecting deep leaks in walls or floors. Thermal imaging inspections provide us with a a picture of specific condition of a building. Infrared cameras allow us the ability to see and locate what the naked eye is unable to detect. Infrared images can capture thermal anomalies from moisture or water damage, roof leaks and window leakage. Infrared scans are able to locate water and moisture intrusion in buildings by thermal patterns. A survey can locate missing or deficient insulation, water leakage or moisture in commercial buildings, energy loss from windows and doors, and flat roof surveys for water intrusion. When we restore property from water damage, we first ensure you have a clear understanding of the problem. Then, we’ll use the right tools to find the cause of the damage, extract moisture and dry your structures. We’ll even negotiate with your insurance company as needed. We monitor every step of water restoration to ensure your property is safe, healthy and sanitary. That’s important. Floodwater may contain bacteria or microbes that pose serious health hazards if the proper drying equipment and techniques (such as the use of air scrubbers) are not utilized. Moisture also causes mold, which introduces additional health threats. If you don’t properly diagnose and repair the moisture conditions that breed mold, it will return. Keeping your property dry is important. But it’s more important to keep you and your family safe and healthy. Mold begins with a moisture problem. Mold is actually a range of multi-celled fungi- as opposed to a single-celled fungi which is a yeast. Mold lives both indoors and outdoors and survives by digesting wood and plant materials. To reproduce, mold produces spores. When a spore lands on a damp spot, it can digest the host material and grow. Most molds are harmless to humans, however some are very toxic. At Orlando Leak Detection, we specialize in mold remediation. We understand your concern about property damage and health risks. We quickly and thoroughly inspect your property to find the mold — and the moisture source. Then we carry out the steps necessary to correct the problem and return your property to a safe, healthy condition. Proper containment, sanitation and the use of specialized equipment (such as the use of air scrubbers and/or soda blasting) are important, because mold spores can contaminate other areas not previously affected. We back our mold remediation work with a two-year warranty — if the mold returns, so do we.